Swamps, ditches, and other wet but not permanently flooded sites, typically in clay soils. The rare hybrid of this and Carex lacustris has been found at one site near Milan (Washtenaw Co.). 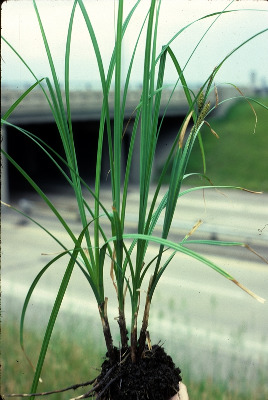 It has vegetative shoots resembling those of C. lacustris, reddish-based, with the ventral surface of lower leaf sheaths tearing to form a ladder-like arrangement of fibers, and with relatively long ligules, but the fertile stems are central. MICHIGAN FLORA ONLINE. A. A. Reznicek, E. G. Voss, & B. S. Walters. February 2011. University of Michigan. Web. 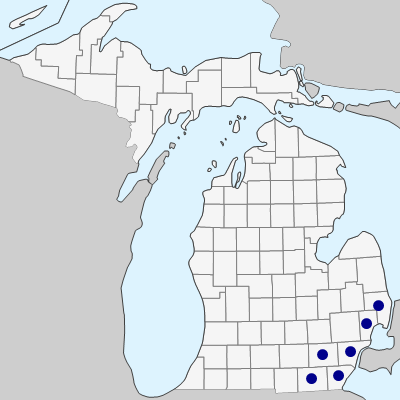 April 20, 2019. https://michiganflora.net/species.aspx?id=982.